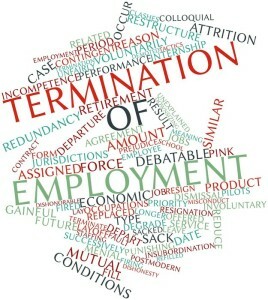 You should schedule an exit interview with the employee on his or her last day to talk about the practical and legal matters that accompany their departure. If the employee has signed a non-disclosure and/or non-compete agreement, it is important to remind the employee of his or her obligations under these contracts. If no such agreements were signed, an employer should still inform the employee that he or she should not disclose trade secrets of the business. You may wish to have the employee execute an acknowledgement of any ongoing obligations and a verification that the employee has returned all company documents and other records. If the employee indicates that he or she is going to work for a competitor, you may want to confer with your legal counsel. During the exit interview, you should verify that you have collected all devices provided to the employee as part of his or her employment. This includes laptops, smartphones, tablets and other similar types of technology. You should also have the employee sign a statement confirming that all company devices have been returned. A departing employee’s access to email, your network, file rooms and other similar areas that hold important data should be terminated. This includes the return of any keys or access cards. If your business uses a keypad with a code for entry access, be sure to immediately change the code. The departing employee may have been planning his or her departure for weeks, so your IT department should investigate whether any improper downloads of information were made or emailed to the employee’s personal email account. If so, contact your attorney to discuss your available options. You may want to notify your customers, clients, vendors or other third-parties that the employee is no longer working for you. You should provide these third-parties with a new contact person at your business. The above steps are just a few ways you can minimize the risk of a departing employee disclosing your company’s proprietary information. If you have questions regarding the termination of an employee or any other business-related matter, please contact Faro & Crowder for an appointment. This entry was posted in Small Business and tagged employee, Employer, exit interview, fire, terminate on June 12, 2015 by Michael Faro.